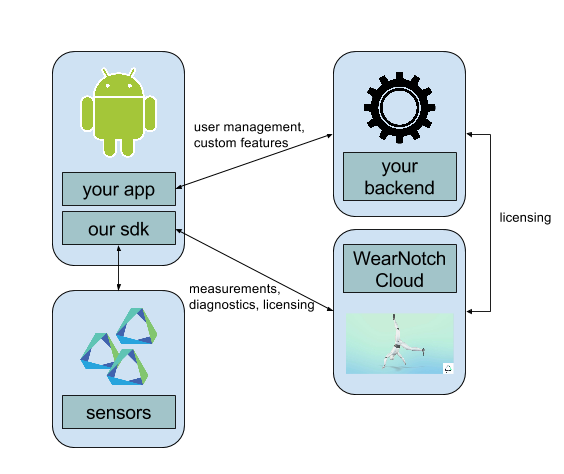 We provide APIs for our platform sdk and your application. API key serve as authentication token for application backends at WearNotch’s B2B endpoints, like license key generation. Contact support to obtain such keys. Needless to say, keep this token in secret.